This is a fantastic giveaway with two prizes! 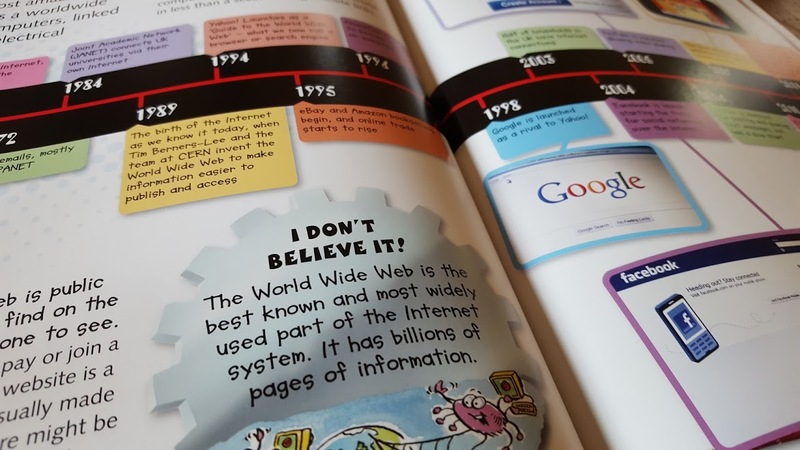 Miles Kelly publish 80 different books in their '100 Facts Series' and two winners will be able to choose five books each from the range for their children this Christmas. The 100 Facts books have sold over 80 million copies to date, in more than 30 different languages. 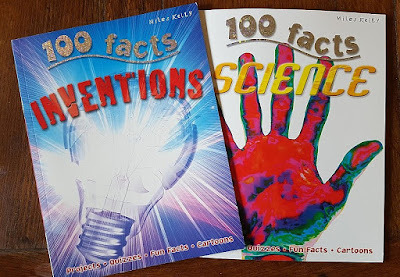 We've recently reviewed two of the 100 Facts Books - Science and Inventions - chosen especially for my thoughtful science-loving children who want to take everything apart and find out how it works. The 80 different books cover a huge range of subjects, so there is bound to be something to suit any child - and their parents! These are the sort of books that grown ups pick up and find themselves reading, and inevitably after 5 minutes of looking at one of the 100 Facts books, the reader always says "hey, guess what. Did you know that.....?" An invaluable resource for inquisitive children - whether Cats, Birds of Prey, Weather, Pirates, Victorian Britain or Magic & Mystery, the 100 Facts books are clear and concise, with jokes and cartoons, photos and lots more to make them incredibly interesting and attractive books which any child will love. The 100 Facts books have an rrp of £6.99 and are currently on offer at £3 and £5 each. Suitable for children aged around 7+ , they're great 'talk about' books to encourage discussion, even with smaller children. Miles Kelly are offering 2 of my readers the Christmas present of 5 x 100 Facts books of your choice from the range (subject to availability). Which will you pick for your child? Entry is by Gleam form below. UK entries only please, the giveaway will end at midnight November 30th - to allow plenty of time for the Christmas post. They all look fab but I would first love to read 100 Facts Evolution! 100 facts about Kings and Queens! I like the scientists book -- that Einstein picture is a great cover. The 100 Facts Exploring Space looks fantastic! I was always fascinated about space as a child! Ancient Rome, that's what my kids are learning about in school. The 100 Facts Ancient Egypt book, looks really interesting. Thanks for the lovely giveaway. I would have liked the Horses & Ponies the most, I was pony mad, and my daughter would have chosen Whales & Dolphins. Interesting looking series. 100 Facts Ancient Egypt - fascinating people! The 100 facts Human Body looks great. 100 Facts about Ancient Rome! Very cool! I like the look of so many of them as presents - Dogs, Survival, Space, Weather! Lots of good ones. Ancient egyptians as my son is learning about Egypt in school. My 9 year old daughter would love these, she's a little book worm. The Explorers book looks brilliant, my son would love it. I would be torn between Science and Egyptians as my son loves both. We've just seen a magician recently so the Magic and Mystery one might be the favourite! 100 facts about Kings and Queens. My son would love the 100 facts about Penguins! Myths and Legends would be really fun, but British history would be useful to fill in knowledge gaps. 100 facts on space, my daughter wants to be an astronaut so this would be a great read !! Definitely the pirates one - me hearties! They all look good but definitely horses and ponies! Kings and Queens, we have that one home. I think I would find the 100 facts about Kings and Queens interesting but the 100 Science facts would be best for my daughter. I like the book on Space. i like the science one. My eldest loves Vikings at the moment so I'd have to choose that one!